The PW is coming out with a new cookbook in the fall! I am not sure if excitement is appropriate though. The PW’s book is all about celebrations. That could be a great thing, as I see it. Paula Deen’s cookbook about celebrations, Paula Deen and Friends is one of my favorites. I have many tried and true recipes from it. Of course, all that was before Paula went and destroyed her career the old-fashioned way-by crying on national TV. Still, I like the recipes, so celebration recipes may be a plus for PW. Also, the last PW cookbook was full way too many animal/kid pictures. I could just imagine the cat hair in my food as I looked at Miss Kitty while cooking. Same thing with all the dogs. And the kids. Blech. Plus, all the dang cows. Do you know why we call Beef beef? Because calling it cow is a little too uncomfortable. Know what? So is looking at beautiful pictures of them while cooking them. Too close to home, my friend. 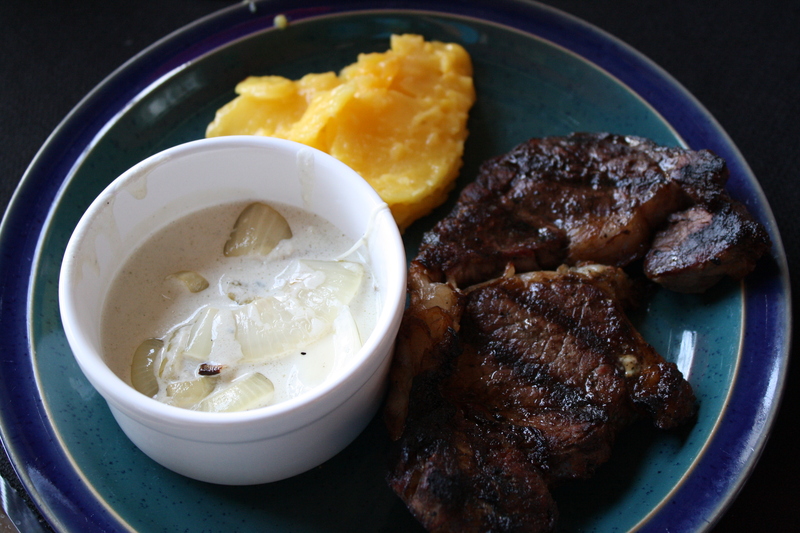 Rib-eye Steak with Onion-Blue Cheese Sauce. 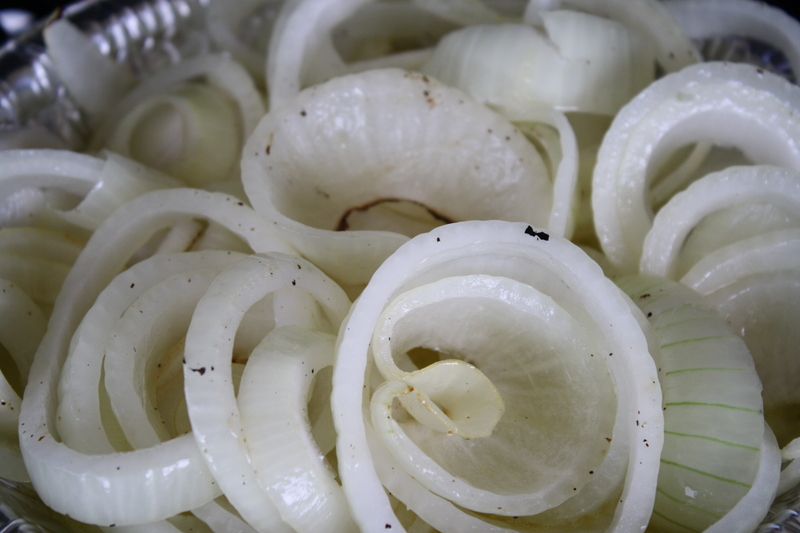 I decided to follow PW bit by bit except for one thing-the onions. Instead of one onion in a skillet, I made two on the grill along with the steak. Lovely. 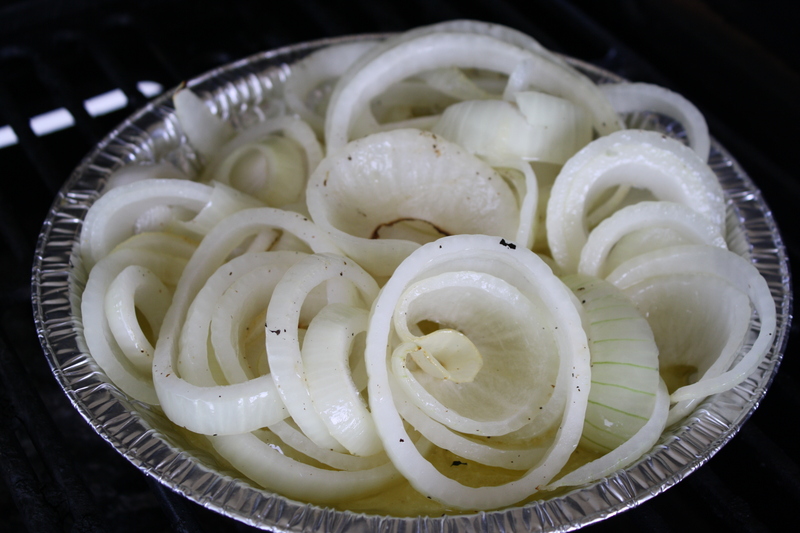 We grill onions all the time. I followed everything else to a T. I added the cream and the seasonings. I had high hopes. I also tweaked the steaks just a small bit. Instead of smearing the butter at room temperature, I melted it first. No big deal. 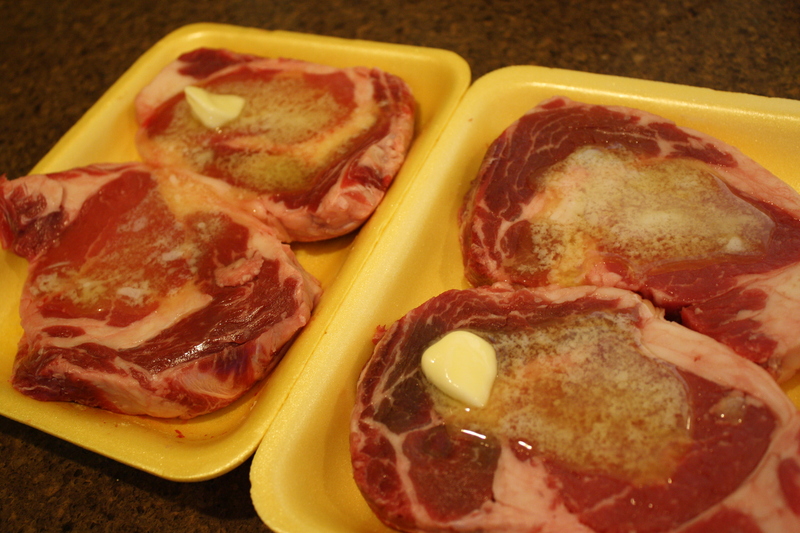 At the end of the grilling time, I added the blue cheese to the sauce as the steaks were all but done. Now, I love blue cheese. This was not quite what I expected, however. One could argue that I fixed the dish wrong because it was prepared totally on the grill. One could also be wrong. I used two onions over very high heat. I allowed it to bubble as the recipe said. So the sauce should have been thick like the non-cat photo of the sauce, right? It wasn’t. 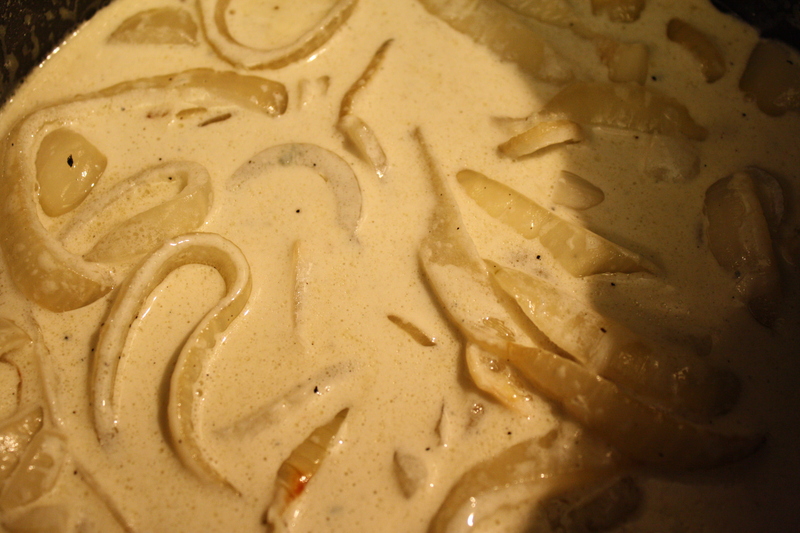 It was a thin, liquidy, blue cheese gravy-type thing. Not what I had planned. Taste-wise, it wasn’t bad, but the runniness nullified the deliciousness. A good steak needs very little help from a sauce. I can make a great steak without the extra work of making a sauce that may or may not be worth the effort. So, the new PW cookbook is something I will purchase with caution. She’s just burned me one too many times with recipes that aren’t worth the pictures of her dogs. 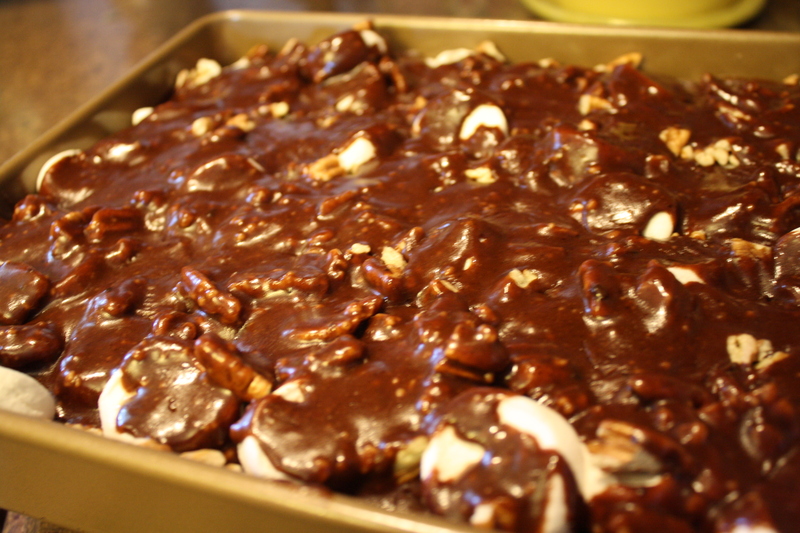 Mississippi mud cake is an old favorite. Long before The Food Network and popular cookbooks written by celebrity chefs, my momma used to make Mississippi mud a lot. 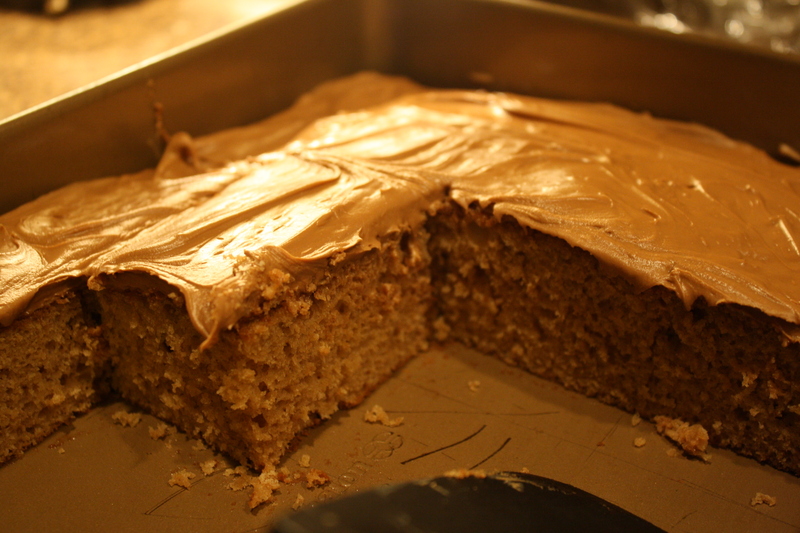 For Christmas this year in my search for soul food desserts, I made one too. I used Paula Deen’s recipe. It was fine, but my cake was very, very dry. Mud cake should be very, very moist. I followed her recipe to the T, but something did not go right. We did like the addition of pecans, though. 2 cups sugar mixed with 2 cups of self-rising flour. Set aside. Take 1 cup water, 1/4 cup of oil, 1 stick of oleo, and 3 tablespoons of cocoa mix and boil together. 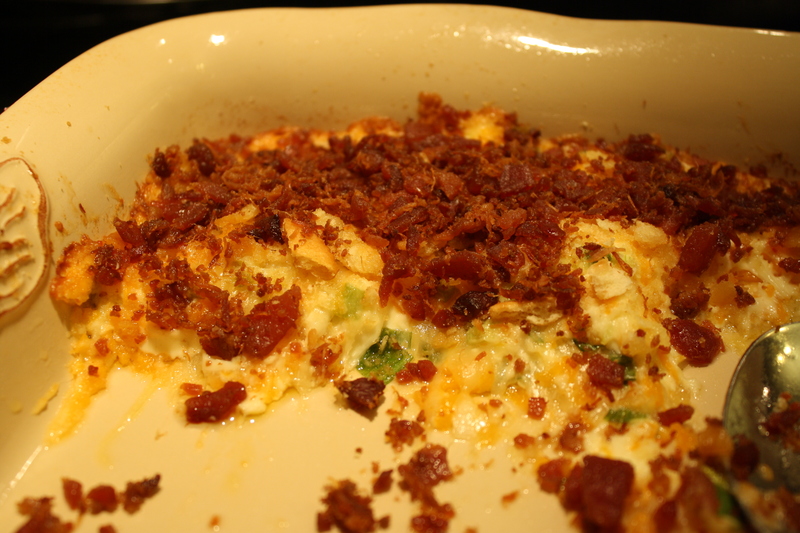 Beat in two eggs and add 1/2 cup buttermilk mixed with 1/2 teaspoon baking soda and 1 tablespoon of vanilla. Bake 30 minutes at 350 in a large flat pan. 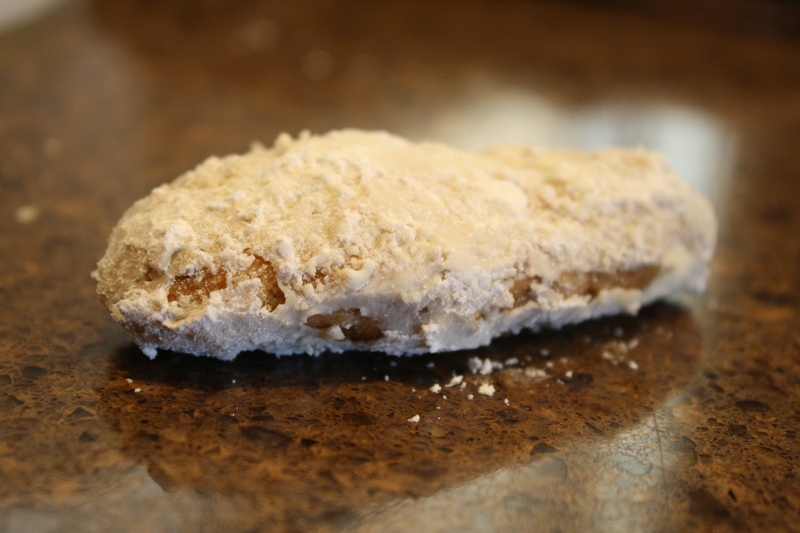 For the icing-1 stick of oleo, 6 tablespoons of milk, 3 tablespoons of cocoa, 1 tablespoon of vanilla-boil all together and add 1 box of sifted powdered sugar. Put miniature marshmallows or marshmallow creme on the hot cake and pour the icing over the whole thing. It is time for vacation with the family! All eighteen members of the bunch are traveling this week to the shore. Thank the good Lord above. That means sun, fun, sand, and food. 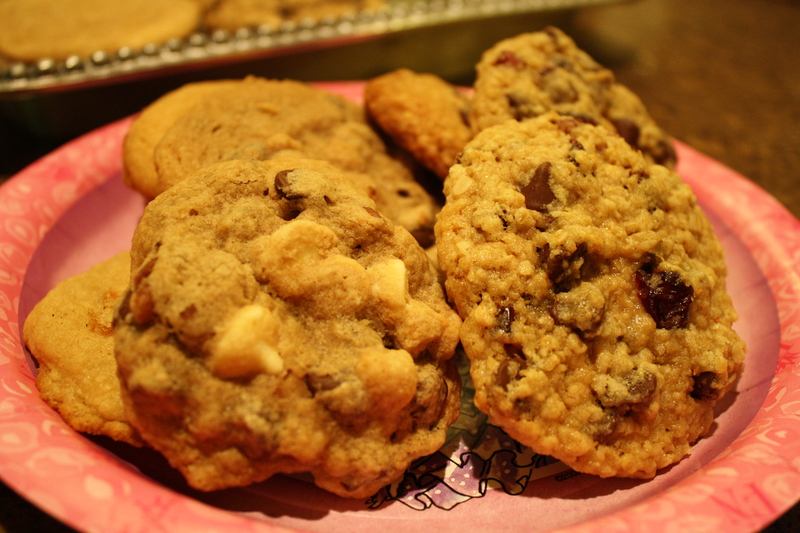 It all starts with Paula Deen’s Mexican Wedding cookies by special request from my sister. I had forgotten that the last time we traveled to the great blue-two weddings and two babies (none of which were mine, thank goodness) ago-that I made Paula’s cookies for the trip. I used to make them all the time, but our last trip five years ago was the last time I made them. What a slacker I am. Luckily, she remembered and asked me to make them. It was one of the very last things I did before we left the house. They are super, super easy and not too sweet. I follow Paula’s recipe except that I use about a quarter cup more pecans than she does. 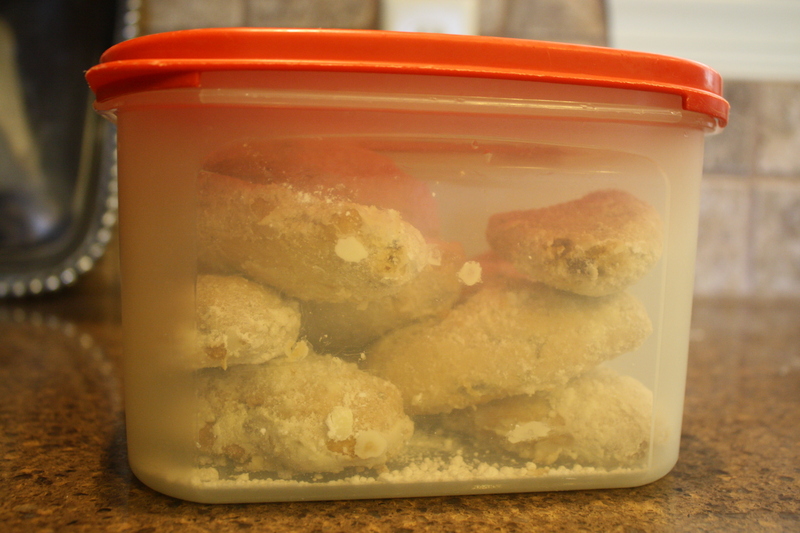 Also, while the cookies are straight out of the oven, I put them in a large bowl with a cover and gently shake them with lots and lots of powdered sugar. They are in the backseat right now headed with us for the water.